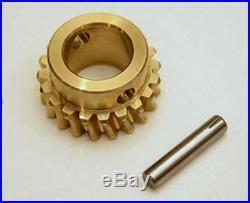 Ariens Snowblower Auger Gear & Pin ST824 924050 924082 52402600 524026 52422700. JUST TOP QUALITY – ISO CERTIFIED, PRECISION MANUFACTURED ARIENS PARTS. New Auger gear for models. 924027 (001001) ST8, 8hp Tec. Tractor 924036 (000101) ST524, 5hp 24″ Snowblower 924039 (000101) ST824, 8hp 24″ Snowblower 924040 (000101) ST824, 8hp 24″ Snowblower 924046 (000101) ST524, 5hp 24″ Snowblower 924046 (012001) ST524, 5hp 24″ Snowblower 924046 (014501) ST524, 5hp 24″ Snowblower 924048 (000101) ST724, 7hp 24″ Snowblower 924048 (019001) ST724, 7hp 24″ Snowblower 924048 (024501) ST724, 7hp 24″ Snowblower 924050 (000101) ST824, 8hp 24″ Snowblower 924050 (027001) ST824, 8hp 24″ Snowblower 924050 (036501) ST824, 8hp 24″ Snowblower 924054 (000101) ST832, 8hp 32″ Snowblower 924072 (000101) ST824, 8hp 24″ Snowblower 924080 (000101) TT 8, 8hp Snow Tractor 924081 (000101) ST824S, 8hp 24″ Snowblower 924082 (000101) ST824, 8hp 24″ Snowblower 924082 (011145) ST824, 8hp 24″ Snowblower 924082 (039200) ST824, 8hp 24″ Snowblower 924093 (000101) ST924, 9hp 24″ Snowblower 924093 (001700) ST924, 9hp 24″ Snowblower 924100 (000101) ST824, 8hp 24″ Snowblower 924100 (008200) ST824, 8hp 24″ Snowblower 924102 (002600) ST1032, 10hp 32″ Sno-Thro 924104 (001400) ST1028 10hp 28″ Snowblower 924105 (000200) TT 8 8hp Snow Tractor 924106 (002200) ST1024 10hp 24″ Snowblower 924107 (000101) ST1336LE 8hp Sno-Thro Tractor 924108 (000101) ST824 SLE 8hp Electric 24″ Snowblower 924109 (000101) ST1028 SLE 10hp Electric 28″ Snowblower 924110 (000101) ST824 DLE 8hp Electric 24″ Snowblower 924118 (000101) ST8524 DLE 8.5hp Electric 24″ Snowblower 924119 (000101) ST1028 10hp 28″ Snowblower 924121 (000101) ST1128 LE 11hp Electric 28″ Snowblower 924311 (000101) ST824 8hp 24″ Snowblower 924312 (000150) ST924 9hp 24″ Snowblower 924318 (000101) ST824 8hp 24″ Snowblower 924318 (000500) ST824 8hp 24″ Snowblower 924319 (000101) ST924E 9hp Electric 24″ Snowblower 924323 (000101) ST1024 10hp 24″ Snowblower 924324 (000101) ST1128LE 11hp Electric 28″ Snowblower 924325 (000101) ST1132LE 11hp Electric 32″ Snowblower 924326 (000101) ST1336LE 13hp Electric 36″ Snowblower 924328 (000101) ST824 DLE 8hp Electric 24″ Snowblower 924329 (000101) ST928 LE 9hp Electric 28″ Snowblower 924550 (000101) ST824 8hp 24″ Snowblower 924551 (000101) ST8524 DLE Classic 8.5hp Electric 24″ Snowblower 932308 (000101) ST824 8hp 24″ Snowblower 932309 (000101) ST824 8hp 24″ Snowblower 932500 (000101) ST520 5hp 20″ Snowblower 932501 (000101) ST724 7hp 24″ Snowblower 932502 (000101) ST8524LE 8.5hp Electric 24 Snowblower. Once we receive your feedback we will do the same. The item “Ariens Snowblower Auger Gear & Pin ST824 924050 924082 52402600 524026, 52422700″ is in sale since Friday, November 23, 2018. 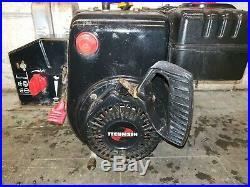 This item is in the category “Home & Garden\Yard, Garden & Outdoor Living\Outdoor Power Equipment\Snow Blowers”. The seller is “qualcompsol” and is located in Berwick, Pennsylvania. This item can be shipped worldwide. 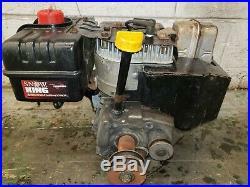 7 hp tecumseh snowblower engine 7/8 crankshaft. Condition is Used but runs. The item “7 hp tecumseh snowblower engine 7/8 crankshaft” is in sale since Monday, February 11, 2019. 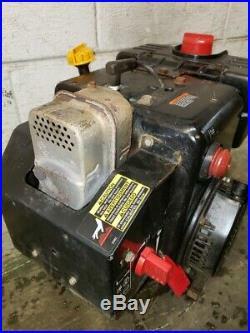 This item is in the category “Home & Garden\Yard, Garden & Outdoor Living\Outdoor Power Equipment\Snow Blowers”. The seller is “northlawnsnow” and is located in Itasca, Illinois. This item can be shipped to United States. 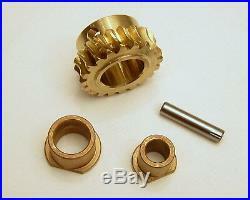 Ariens Snowblower Auger Gear, Pin, & Bushings ST824 924050 52402600 524026 924082. JUST TOP QUALITY – ISO CERTIFIED, PRECISION MANUFACTURED ARIENS PARTS. New Auger gear for models. 924027 (001001) ST8, 8hp Tec. Tractor 924036 (000101) ST524, 5hp 24″ Snowblower 924039 (000101) ST824, 8hp 24″ Snowblower 924040 (000101) ST824, 8hp 24″ Snowblower 924046 (000101) ST524, 5hp 24″ Snowblower 924046 (012001) ST524, 5hp 24″ Snowblower 924046 (014501) ST524, 5hp 24″ Snowblower 924048 (000101) ST724, 7hp 24″ Snowblower 924048 (019001) ST724, 7hp 24″ Snowblower 924048 (024501) ST724, 7hp 24″ Snowblower 924050 (000101) ST824, 8hp 24″ Snowblower 924050 (027001) ST824, 8hp 24″ Snowblower 924050 (036501) ST824, 8hp 24″ Snowblower 924054 (000101) ST832, 8hp 32″ Snowblower 924072 (000101) ST824, 8hp 24″ Snowblower 924080 (000101) TT 8, 8hp Snow Tractor 924081 (000101) ST824S, 8hp 24″ Snowblower 924082 (000101) ST824, 8hp 24″ Snowblower 924082 (011145) ST824, 8hp 24″ Snowblower 924082 (039200) ST824, 8hp 24″ Snowblower 924093 (000101) ST924, 9hp 24″ Snowblower 924093 (001700) ST924, 9hp 24″ Snowblower 924100 (000101) ST824, 8hp 24″ Snowblower 924100 (008200) ST824, 8hp 24″ Snowblower 924102 (002600) ST1032, 10hp 32″ Sno-Thro 924104 (001400) ST1028 10hp 28″ Snowblower 924105 (000200) TT 8 8hp Snow Tractor 924106 (002200) ST1024 10hp 24″ Snowblower 924107 (000101) ST1336LE 8hp Sno-Thro Tractor 924108 (000101) ST824 SLE 8hp Electric 24″ Snowblower 924109 (000101) ST1028 SLE 10hp Electric 28″ Snowblower 924110 (000101) ST824 DLE 8hp Electric 24″ Snowblower 924118 (000101) ST8524 DLE 8.5hp Electric 24″ Snowblower 924119 (000101) ST1028 10hp 28″ Snowblower 924121 (000101) ST1128 LE 11hp Electric 28″ Snowblower 924311 (000101) ST824 8hp 24″ Snowblower 924312 (000150) ST924 9hp 24″ Snowblower 924318 (000101) ST824 8hp 24″ Snowblower 924318 (000500) ST824 8hp 24″ Snowblower 924319 (000101) ST924E 9hp Electric 24″ Snowblower 924323 (000101) ST1024 10hp 24″ Snowblower 924324 (000101) ST1128LE 11hp Electric 28″ Snowblower 924325 (000101) ST1132LE 11hp Electric 32″ Snowblower 924326 (000101) ST1336LE 13hp Electric 36″ Snowblower 924328 (000101) ST824 DLE 8hp Electric 24″ Snowblower 924329 (000101) ST928 LE 9hp Electric 28″ Snowblower 924550 (000101) ST824 8hp 24″ Snowblower 924551 (000101) ST8524 DLE Classic 8.5hp Electric 24″ Snowblower 932308 (000101) ST824 8hp 24″ Snowblower 932309 (000101) ST824 8hp 24″ Snowblower 932500 (000101) ST520 5hp 20″ Snowblower 932501 (000101) ST724 7hp 24″ Snowblower 932502 (000101) ST8524LE 8.5hp Electric 24 Snowblower. Once we receive your feedback we will do the same. The item “Ariens, Snowblower Auger Gear Pin Bushings, ST824, 924050 52402600 524026 924082″ is in sale since Monday, April 2, 2018. This item is in the category “Home & Garden\Yard, Garden & Outdoor Living\Outdoor Power Equipment\Snow Blowers”. The seller is “qualcompsol” and is located in Berwick, Pennsylvania. This item can be shipped worldwide.